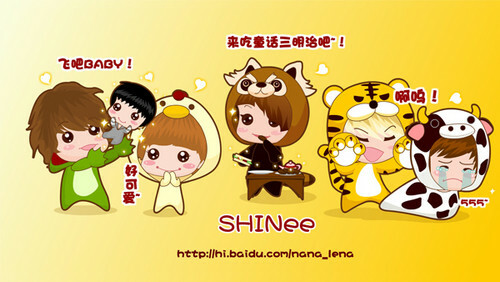 SHINee Cute Chibi. . Wallpaper and background images in the Shinee club tagged: shinee taemin key onew minho jonghyun chibi cute. This Shinee photo might contain anime, komik, manga, kartun, and buku komik. NEWS】 OSEN "Taemin sent a support sms to APink's Naeun before her comeback stage"